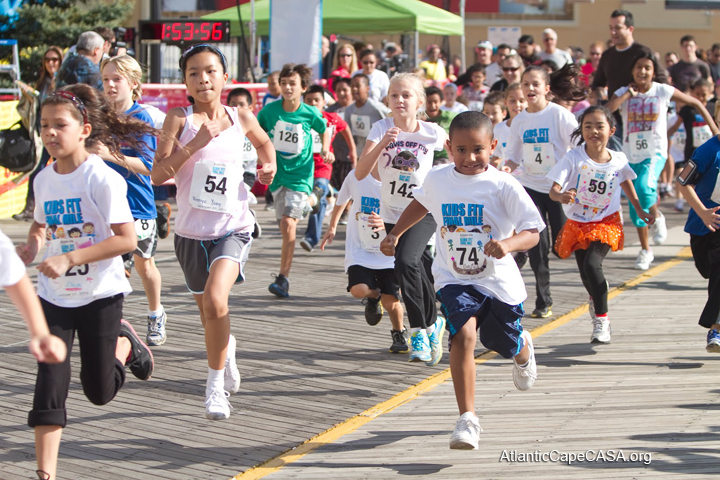 Second Annual Kids Fit Final Mile! 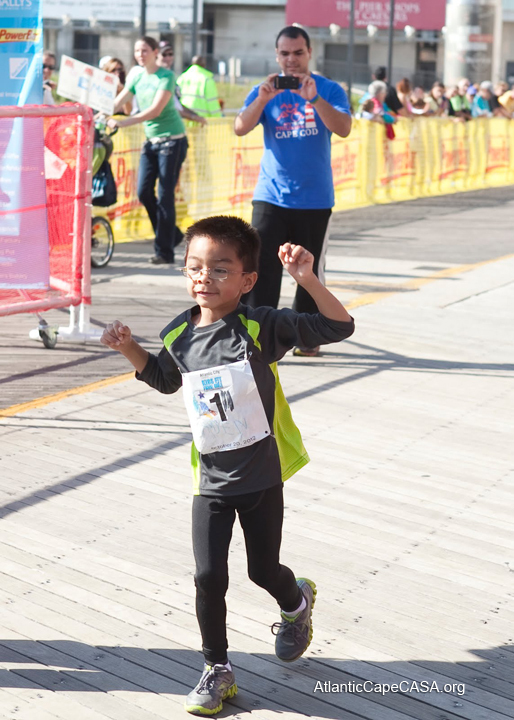 More than 120 children participated in this year’s Kids Fit Final Mile, which is part of the Atlantic City Marathon. 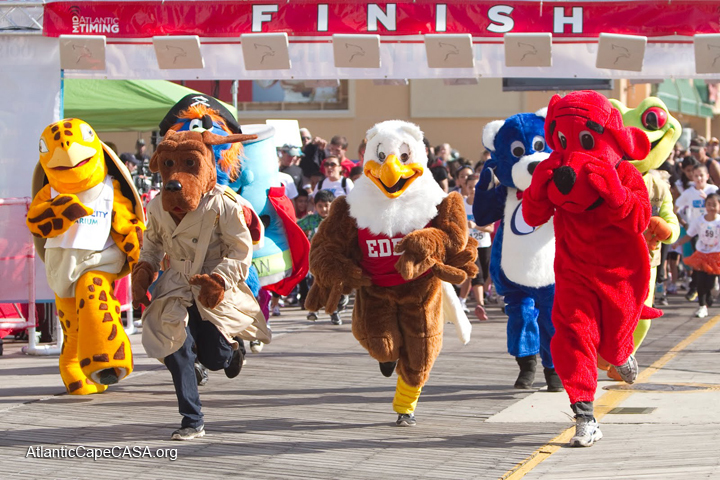 The event benefits CASA, and we are grateful to all of our participants, as well as the mascots who competed in the Mascot Fun Run. 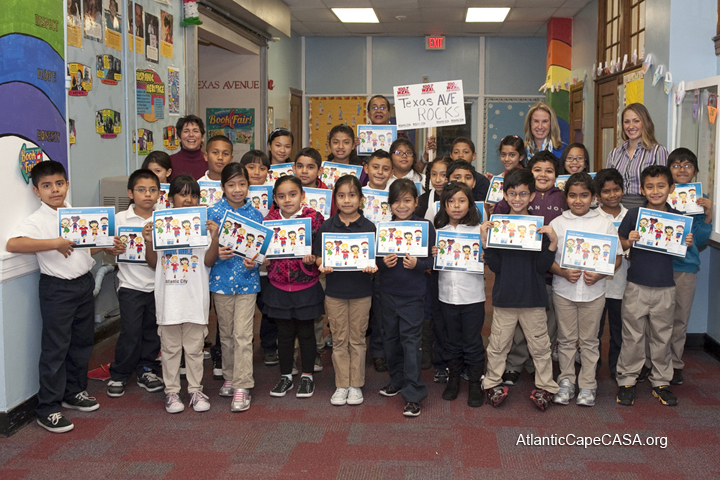 A big thank you also goes out to Texas Avenue School in Atlantic City, who had so many of their awesome students run! Overwhelmed with feelings of isolation and instability, three siblings in foster care have not lived together for five years. The emotional trauma of several home placements and separation resulted in mental health disorders. CASA Volunteer Linda Wallace was on their case, and she learned to understand the signs of emotional distress and implement the appropriate forms of action. 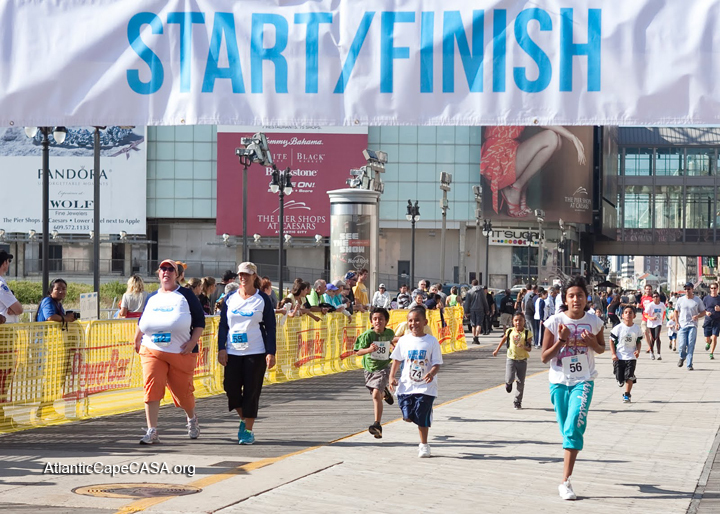 Children in foster care often have a sense of constantly starting over with little stability. “When the children have to deal with new placements, new peers, new rules, new therapists, etc., it makes things more difficult,” Linda said. On Linda’s case, the biological mother had a history of mental illness, which is a common reason why biological parents are unable to care for their children. The children feared spending time with their mother, and because they were separated from each other, their support system was dwindling. Even with counseling, normalcy was a distant goal. 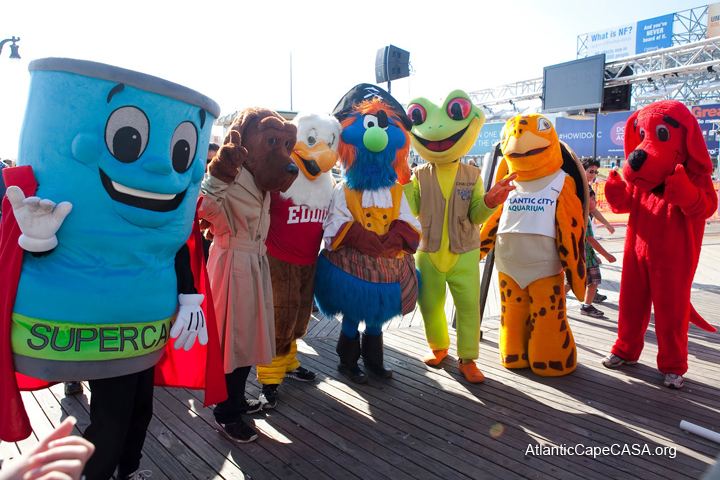 “It helps CASA volunteers to realize that with mental health issues, there is a great deal of three steps forward, two steps back,” Linda said. Symptoms of emotional or mental distress include: sadness or irritability, poor school performance, and unprovoked aggression. According to National CASA, one of the most common disorders among foster children is Reactive Attachment Disorder, which is caused by neglect of an infant’s needs for physical safety, food, and emotional bonds with a primary caretaker. Children with mental disorders are especially in need of contact with a familiar, trust-worthy person like a CASA volunteer. “Children with mental health issues are very different when they are one-on-one,” Linda said; with each child individually, the CASA can focus the conversation and ease any nerves. Anxiety disorders are the most common mental illness among youth. Panic attacks and post-traumatic stress disorder can cause the children to be hyper-vigilant of their surroundings, and sometimes, they even relive their abuse and neglect. Along with watching for signs of mental illness, CASA volunteers should advocate for a mental health assessment and if needed, ensure the child is in counseling. Finally, from teachers to foster parents, significant people in the child’s life should be aware of the child’s emotional and mental health status. 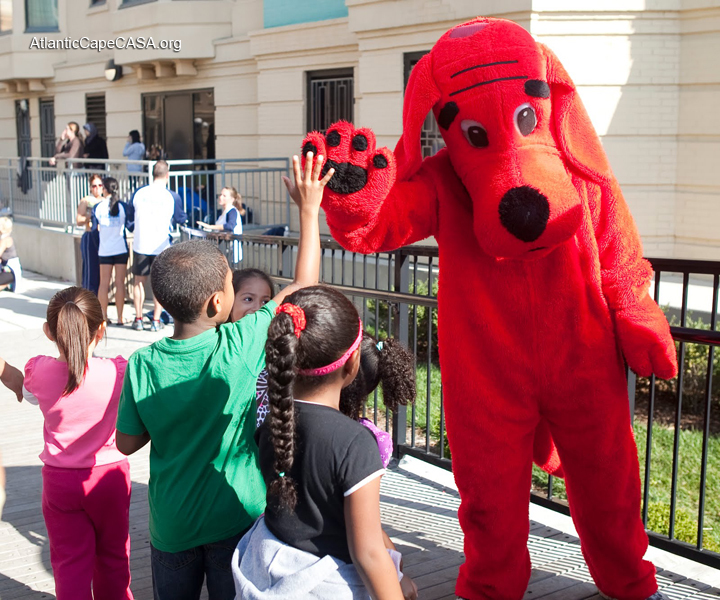 Empathy is a key component to working with children with mental disorders and being a successful CASA volunteer. When a case is frustrating, Linda has a simple trick: “I see the world through the child’s eyes, and I become reenergized,” she said.